Today, you have an opportunity to help stop illegal fishing and human rights abuses, by taking action for better Canadian seafood labelling. Shouldn’t our seafood labels have to tell us if fish is farmed or wild, sustainably caught or not? Don't miss the chance to have your say--the consultation process closes soon! See the Seafood Labelling article below and click on the link to send your support. Together with SeaChoice partners David Suzuki Foundation and Ecology Action Centre, we're collecting signatures to deliver to the Canadian Food Inspection Agency, demanding better information on seafood labels. Thank you, for all you do to help! Deadline Extended! Take action on Seafood Labelling! Time for Canada to step up to the plate. Time to update our weak seafood labelling laws. Canada's seafood labelling laws are extremely weak. For example, according to Canadian guidelines, over 100 possible species can be simply labelled under the one generic name: "rockfish". This lack of comprehensive labelling makes choosing seafood for environmental sustainability, health reasons, or to support local fishers and farmers near impossible. Poor labelling also masks seafood fraud and misrepresentation, as well as potential human rights breaches; both of which are known to infiltrate the global seafood trade and its supply chains. Learn more about why labelling matters at the SeaChoice website. Yet other countries, including the EU and US,already have more stringent seafood labelling requirements. So why don't we? The Canadian Food Inspection Agency (CFIA) is currently conducting a review of food labelling requirements and are asking Canadians for input. SeaChoice has made it easy for you to add your voice by simply signing a petition demanding better seafood labelling. The petition closes March 7th, 2017. Kinder Morgan: That Ship has Sailed! Kinder Morgan Canada is said by market analysts to have a lot of corporate hope pinned on the construction of its Trans Mountain pipeline expansion. The project would increase its cash flow sixfold at a time when cash is in short supply. So short is the supply of cash that the company is said to be seeking a joint venture partner to build the pipeline. Potential partners in the pipeline will no doubt be influenced by the opportunities that a pipeline to “tidewater” offers for oil producers: will they diversify and expand their markets by pumping oil to the Pacific coast, ensuring a further 60 years of fossil fuel profit for the pipeline investor? China was supposed to be the big new market for Canadian oil; the one that would pay a premium for our sour, heavy crude and have a boundless appetite for it. But China today is awash in oil. They spent most of 2016 exporting diesel, they had so much. And they’re continuing to receive oil, as debt payment from countries like Angola, Nigeria, Iraq, Venezuela and Kurdistan. All of these countries borrowed billions from China when oil was valued at over $100 bbl. Now that the price of oil is half what it was, debt repayment takes twice as much oil. China also has oil deals with Iran and Russia, worth hundreds of billions. It has been planning energy infrastructure for over a decade, to diversify its sources of fossil fuel and reduce dependence on deliveries by ship. China now receives oil by pipeline from Russia and Kazakhstan. Pakistan is building a new pipeline to China from Gwadar Port that is intended to hook up with Iranian oil supply and could eliminate the costly and dangerous ocean route through the Strait of Malacca. China has also built strategic reserves of oil to shield it against price fluctuations. Perhaps more important than the supply side is the outlook for oil demand: China’s growth is slowing. In September of 2015, Singapore Business Review first noted the slowdown, observing that Singapore’s port was backed up with upwards of 30 Aframax tankers being used to store fuel that would ordinarily be shipped to China or Japan. China’s crackdown on the use of bituminous fuels by its independent ‘teapot’ refineries had also slowed trade, the Review noted. Historically, the teapots were required to buy partially refined fuel oil from the state-owned oil companies, but when the country began to be flooded with oil-for-debt shipments, rules were relaxed and the teapots bought bituminous blends directly on the open market. China has now “clamped down” on the import of bituminous oils—particularly bad news for Canadian tarsands exporters. In 2016, Blomberg reported the tanker Jag Lok loaded oil from Equatorial Guinea and set sail for the Chinese port of Qingdao, only to be forced to circle outside the port for 20 days waiting for offloading facilities. Platts outlook for 2017 notes that the teapots will no longer be allowed to export oil products, further reducing the demand for imported bitumen. At the same time as growth and demand for oil are slowing, China’s demonstrated concern for air quality and climate impacts is growing. It now includes energy conservation and efficiency measures in its assessment of new development projects. The current five-year plan stresses green growth and sets targets for the reduction of airborne particulates, conservation of energy resources and the development of renewable energy. It appears that, despite all its effort to get tarsands to tidewater, Kinder Morgan has missed the boat. If the company does find the backing to build the pipeline and tanker project, producers may end up selling oil in Washington and California—two places they could as easily reach overland. Let’s hope the market is actually thinking this one through. If, like me, you feel a little queasy about waiting to see if the market does its homework, you may be wanting to know, "What can I do to help stop the project?" Read on! 1. Help the court challenges with a donation. Living Oceans Society and Raincoast Conservation Foundation have teamed up with Ecojustice to challenge project approval. Several First Nations have also brought lawsuits and you can help them by visiting Pull Together to make a donation or organize your own fundraiser. The Pull Together campaign raised over $600,000 to help First Nations win the Enbridge court challenge that ultimately led to that project's rejection. Together, we can do it again! 3. Remind the federal government about its climate commitments. Too often, our elected representatives get away with managing expectations through media moments, rather than dealing with issues. Let your MP know that you expect to see strong government leadership to encourage investment in renewable energy and a solid climate plan that will replace fossil fuels in the Canadian economy. Regulatory approvals notwithstanding, this project still faces major hurdles in the market, in the courts, at the polls and in the streets. ; Let's stay on the job, for the whales, the Salish Sea and the people of the B.C. coast! Planning is underway for another season of Clear the Coast. Last year's amazing recovery of 10 tonnes of debris from the Cape Scott area showed us just how much the team can accomplish on the ground, but also showed us new areas to clear. Every little pocket beach along the northwest coast of Vancouver Island is full of harmful plastics, and we're determined to get to them this year. Our first challenge will be finding the funding, now that the gift from the Government of Japan has been fully expended. Neither the federal or provincial governments currently have a fund dedicated to this form of habitat restoration - something we aim to change! We're also on the lookout for corporate sponsors and donors so that we can demonstrate to governments that we can leverage their contributions with both volunteer labour and cash contributions. Check to see if your employer has a donation policy - maybe there's a matching plan for employee donations. We can provide materials or a presentation to help inspire your co-workers. Send this to a friend - tell them you're supporting us and ask them to help out, too. Have a product or a treasure we can use for a prize? That could help us crowdfund donations. Email kerri [at] livingoceans.org with details. Want to help us sort and recycle the debris when we're done? This year, we'll likely do that on Vancouver Island at the end of August - stay tuned for details as our plans develop! Trouble with the Tanker Ban? 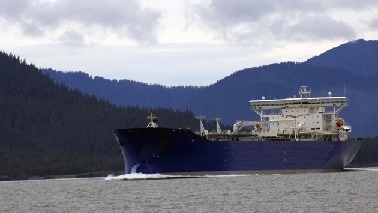 The long-awaited tanker ban for B.C. 's North and Central Coast is still said to be coming...but when? Legislation was originally scheduled for last fall but to date, there is no sign of a draft. Details have been slowly coming out: it will target persistent (heavy) oils and so will capture things like dilbit, but not the fuels delivered to communities by barge; and it will exempt shipments of up to 12,500 tonnes, which is larger than the deliveries made by barges like that pushed by the Nathan E. Stewart, the tug that sank off Heiltsuk territory in the fall. Living Oceans has launched a new website to help local fishermen to sell directly to local businesses and consumers in Vancouver. We've been working for years to try to keep more of B.C. 's sustainably caught seafood in the local market - right now, over 80 per cent of our local catch is exported while a matching amount of the seafood in most grocery stores is imported. Our website helps fishermen connect with purchasers--restaurants, fishmongers and retailers who want to access fresh, sustainable and traceable seafood. By minimizing the length of the supply chain, both parties get a better deal. Individual consumers can see what direct sales are available at Fishermen's Wharf or visit the businesses listed on the site to buy local seafood. Visit www.SeatoFork.org and take a look at the local businesses that are members. With a growing number of fishermen and businesses signing up each week, the summer promises to offer delicious seafood at great prices! Living Oceans engaged in some creative repurposing over the Christmas season, turning small fishing floats into lovely Christmas ornaments. At the same time, the school children who helped us to do that learned important lessons about marine sustainability. Sustainable Seafood Campaigner Claude Tremblay engaged a number of school teachers whose students ranged from kindergarten to grade four to paint an impressive 200 ornaments. Some of these were pure works of art, and all of them were beautiful, unique, and colourful! What made it special was the fact that this project tied in nicely with what these students were learning in class: the environmental issues we face as a society, and the responsibility we have to get invloved in mitigating those problems. The floats were recovered in our Clear the Coast campaign last summer, which saw Living Oceans volunteers collect a stunning 10 tonnes of plastic marine debris from northwestern Vancouver Island shores. Most of the debris by far was generated by the fishing and aquaculture industries. We recovered thousands of floats of various types and kept back a few that we thought we could repurpose. Some of the foam floats, showing distinctive bite marks where animals had tried them out for lunch, made it clear that these plastics pose an immediate danger to the health of both marine and terrestrial life. While the project this year was a relatively small pilot, it proved that we can keep some of these plastics out of the landfill, and transform and up-cycle them to make meaningful objects while teaching school children about anthropogenic impacts on our planet. We can also use the proceeds to help fund the next Clear the Coastcampaign. That's what we call closing the loop! 1. Explore All At Once: Visit www.AllAtOnce.org to check out what you can do before, during, and after the show to get involved. 2. Visit us at the show!We will be at Jack Johnson’s concert at Deer Lake Park in Burnaby July 23, 2017. Please come visit us, take environmental action, and enter to win Best Seats in the House – a chance to watch the show from the side of the stage! 3. Help us raise funds! 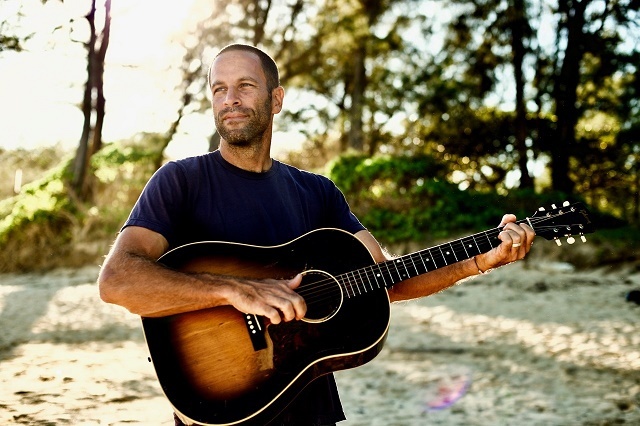 Jack Johnson’s charity is matching donations contributed to us at the show or directly to our organization through September 1st (Up to a total of $2500 US, pending approval by CAFAmerica). Make a contribution right now and your money will be doubled by the Johnson Ohana Foundation! Shop Ecofair, Support Living Oceans! Here's a great new way to support the work we do at Living Oceans,while also shopping for some terrific and sustainable gifts. We are thrilled to be one of the organizations supported by Ecofair! It's as simple as spending a bit of time browsing their products at EcoFair.ca, and then choosing Living Oceans as the organization you'd like to receive ten per cent of the proceeds from the sale.